The originator of Latvian postfolk is in its prime. In the past six years Iļģi have released four albums, toured the United States coast to coast, and played at festivals in Europe, Russia, Malaysia, and at home in Latvia. International acclaim reached new heights in 2006 as the album Ne Uz Vienu Dienu climbed to the No. 2 spot on the World Music Charts Europe and stayed in its top ten for four months. 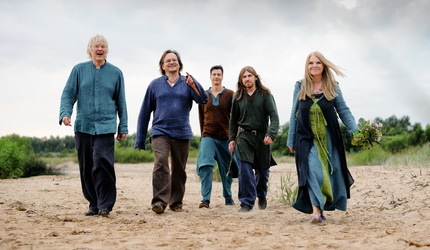 At its 30th Anniversary Concert in December 2011, Iļģi released Tur Saulite Perties Gaja, named Best Folk Album of 2011 by the Latvian recording industry and is No. 4 on the World Music Charts Europe in April 2012. Always a welcome addition to any festival!